The Federal Trade Commission announced Monday that it will file a complaint -along with the attorneys general of California and the District of Columbia -seeking to temporarily stop the deal, pending an administrative trial scheduled for Nov. 21. Combining the onetime rivals would "deprive customers of the substantial benefits of direct competition," Tad Lipsky, acting director of the commission's Bureau of Competition, said in a statement. DraftKing's Jason Robins and FanDuel's Nigel Eccles, the CEOs of the two companies, said in a statement that they're disappointed by the FTC's decision and are weighing their options. Daily fantasy sports contests are online games in which players build rosters of real-life athletes and vie for cash and other prizes based on how those athletes do in actual games. They grew in large part from a 2006 federal law that banned online gambling but created a specific niche for fantasy sports. The FTC, in announcing the complaint, said it wasn't convinced that other fantasy sports companies could provide sufficient competition if the merger went through. It also said consumers were unlikely to view other products, including the traditional, season-long fantasy sports competitions played by millions of Americans each year, as a meaningful substitute for the contests offered by the two companies. 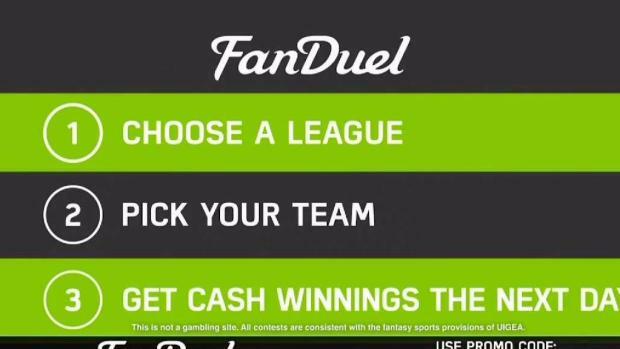 Boston-based DraftKings and New York-based FanDuel agreed to merge in November as the industry they helped pioneer fell under intense regulatory scrutiny. With the two companies engaged in a costly advertising war, state attorneys general, lawmakers and gambling regulators across the country began to question whether the online contests amounted to illegal sports-betting operations. At the time the merger was announced, the companies maintained their niche business was just a small part of a larger, multibillion dollar fantasy sports industry in which ESPN, Yahoo and other major corporations have long dominated. Technology reporter Kelly O'Brien joins necn to discuss his story, "It's official: DraftKings and FanDuel will merge, creating fantasy sports powerhouse." The companies said a merger would help them reduce costs as they lobbied for state laws recognizing their legality and fought off legal challenges in court, as well as help them improve their contests. Both had raised millions of dollars through investors and sponsorships with prominent teams and sports leagues in a few short years but still weren't profitable. But the daily fantasy sports industry has sharply contracted in the past year, despite roughly a dozen states adopting new laws and regulations. More than two-thirds of daily fantasy sports companies have shuttered, changed focus or joined with competitors, the Fantasy Sports Trade Association has said. That's left DraftKings and FanDuel as the largest remaining operators. Boston College finance professor Richard McGowan says the merger would allow the companies to survive legal onslaught. However, that is now in doubt. "Lots of states are still filing that they are illegal. The market is not going to go away," McGowan said. Boston University finance professor Dirk Hackbarth says the blockage of the merger will now open up the market place. "If anything, more companies should start entering and more companies should start competing with them," Hackbarth said. 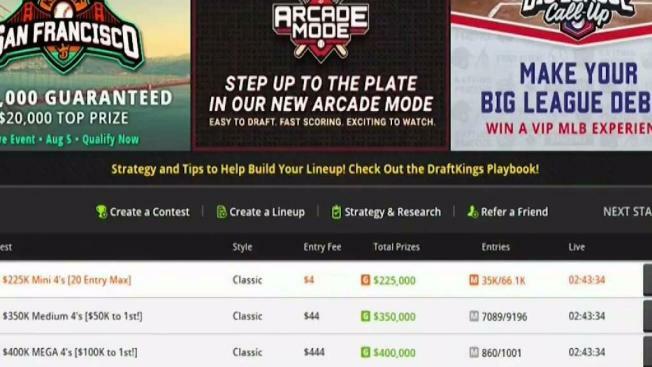 DraftKings, which was founded in 2012, is the currently the largest in terms of entry fees and revenues. FanDuel, which was founded in Scotland in 2009, is the second largest.